September 2016 | TMC | Toki Mabogunje & Co.
On November 12, 2016 at 07:00AM, the GEW Nigeria 2016: GEW Walk for Entrepreneurship Lagos will take place. It will be happening at King’s College Lagos (Annex Campus), Adeyemo Alakija St, Lagos, Nigeria. On November 16, 2016 at 08:00AM, the GEW Nigeria 2016: Entreprise Women’s Day Lagos will take place. 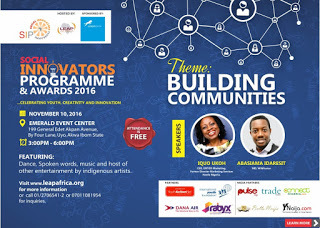 It will be happening at Civic Centre, Ozumba Mbadiwe Ave, Victoria Island, Lagos, Nigeria.